Owner of La Mac & Stay at Home Mum. Huge online shopper with years of experience! Item was ordered for GUARANTEED delivery for Father's Day. Father's Day was now 3 days ago and it still has not arrived. The first time I emailed customer services, they simply said it takes 3-5 days. I explained again that it was ordered for guaranteed delivery and I got a response saying they would offer a partial refund. I still have not received that nor the actual item and when I have replied I just keep getting the same response saying they will partially refund it!! I am now out of pocket and without the item. I received my first negative review on SiteJabber today for my business from a person whose name I did not recognise as purchasing from me within the past few months. I have also never had anyone contact me regading a problem with an order which is strange. Weirdly, 10 minutes after responding to the review I got an email into my junk from complaintsboard.com which I have never heard of before. Upon researching it, a lot of people link it to fake reviews and then this company charge you to have them removed. I'm presuming this is what the strange review is that has appeared against my business today - too coincidental not to be. I can't believe people would try and scam others like this - and leaving fake negative reviews against people's companies. Absolutely shocked! I've used the online ordering and collect in store service a few times now but the service actually seems to be getting worse rather than better. The past few orders I've had, I've had to contact them to complain about something that's wrong etc. Online ordering & free collection should make your life a bit easier but I've found with ASDA it definitely doesn't. Poor attitudes in store too when you go to collect items, poor quality of the children's clothes/shoes (they used to be great). Seems to be going downhill so will definitely be trying elsewhere in future. Absolutely awful service and sheer lack of customer service. I ordered two bunches of flowers to be delivered to two different addresses. At the point of ordering, I requested a set delivery day under the Free Tracked Delivery option as after checking the free standard delivery terms, it stated they may not arrive on the selected date and to choose another delivery option if I needed a guaranteed delivery date. This is what I did and I received an email order confirmation with the chosen delivery date on, yet I was informed by both parties that both of their deliveries did not turn up until after 2 days later! I am disgusted that this has happened. This is the first time I used this company for flower deliveries and I feel completely let down. Why offer the option of tracked delivery with stated delivery days if you cannot meet these needs? That should not be advertised as an option if you cannot fulfill it. At no point was I contacted and informed that my delivery was not going to be on time and at no point since have I received any contact explaining why. I have sent in a complaint and contacted the company again a further two times and stil no response, apology or explanation from them. Don't use them....find another company that won't just take your money and let you down. I ordered from this website at the beginning of November. Before placing my order, I emailed them to ask a question about the product. After days of waiting, I finally received a response which said "if you Google the item you will find everything you need to know about it". Obviously I should have just walked away at that point but as I had trouble finding the item I wanted in stock elsewhere I went ahead and ordered with them. The item was coming from America but they said at the point of ordering it was in stock and would arrive at the beginning of December. The item didn't arrive when they said it would, I emailed and got no response. I then received an email on 19th December saying the title you ordered is out of stock, we have cancelled your order and will process the refund. No explanation, no apology! I am absolutely livid. I ordered at the beginning of November, surely if it was out of stock they would have known prior to then. By the time they told me it was far too late for me to try and order elsewhere so I am going to have one very disappointed little boy on Christmas Day so thank you Fishpond!! Complete waste of time, customer service is none existent and they sell items and take money that they don't even know if they have in stock or not!! I've used Create for a couple of years now and find them very easy to use to set up your own website. The customer support is normally very quick and friendly. Overall I would recommend them to people. I use PayPal for both personal & business transactions. Overall it is a great website and keeps transactions secure when you're buying over the internet. However, if you do have a query, contacting the customer service is almost impossible. If you do mange to find the contact form or email address, all you get back is an automated email telling you to telephone so its completely pointless writing out an email in the first place....plus its no good for people who are deaf or struggle on the telephone. For such a well known online company, I would expect their online presence to be much better for customers to contact them. Always a great place to look to compare prices if you know exactly what you're looking for. Always check the sellers feedback first though as there are some unfair/dishonest people out there. Overall though, the site is easy to use and if you do have problems, eBay are quick to help and resolve. Easy to use website & quick delivery. Never had any problems with Amazon, quick & efficient service/delivery ever time. I love Quidco & never buy anything online now without going through their site first. I've only been using them since the beginning of 2015 but my cashback is slowly building up. Even if you only get £1 or so on your purchase, it soon adds up so worth it. Never had any issues with them, only wish I'd started using them sooner! Placed an order and it arrived within 2 working days. Well packaged, great information provided on the site to help with choosing the product. Only problem was that the confirmation email showed a link to track the delivery which didn't work so I had no idea which courier it was coming with or when. Customer services didn't reply to my email until after the order had already arrived but not a major problem. Great choice of films & tv programmes to watch and great quality too. Also, ordered from amazon and received next day delivery with Prime - amazing service. Ordered on a Sunday evening and the item arrived on the Monday morning. 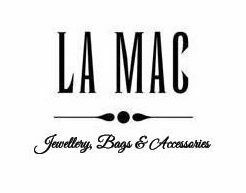 La Mac offers beautiful jewellery, bags & accessories that make great gift ideas. Brilliant customer service and excellent value for money. Absolute waste of time and money. Awful service from start to finish. If I could give them zero stars I would. I signed up almost a year ago and the site has not worked for 95% of that time. Extremely poor customer service. I have sent various emails which have been ignored, sent messages to their facebook page which have been ignored even though I can see they have been read and have also posted on their actual facebook page only to be blocked and my comments deleted. They obviously don't want people to see all the negative comments people are leaving. I am currently in the process of speaking with the Citizens Advice regarding this as they are taking people's money and not providing the service. Please do not waste your money and precious time that could be put into your own business. Tip for consumers: Do not sign up for an account - absolute waste of money and no support once they've taken your money.